Father’s day is a special day to celebrate your dad! So why not show your love by creating your own special gift? Show your admiration by creating a little item to show your affection instead of purchasing something from a store. Stuck for ideas of what to make? Simply read on. To create this gift you would need 6 wooden blocks, a sharp knife or scissors, some glue or double-sided tape and a picture of your choice to use. 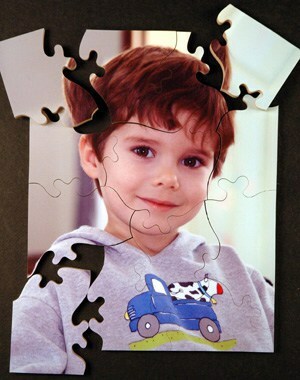 Simply cut the picture to the correct dimensions so that it can be glued nicely into place on the 6 blocks, this will create a puzzle that the lucky dad can distract himself with when times are getting stressful in the office! Not only does it function as a cognitive stress reliever, it also can remind him of his loving family. 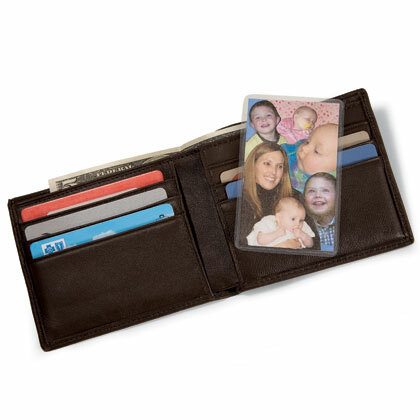 To create a photo wallet card you’ll need to trace a credit card onto card stock and cut out the shape. After, simply arrange a selection of trimmed photos on the card stock in a design you like, and then affix them with a glue stick. You could even write a greeting on the back if you’d like. Next, cover the front and back of the card with Con-Tact paper or clear packing tape and trim off any excess, leaving a 1/8-inch border. You can also have the card laminated at a copy shop to protect it from getting damaged. This is a great idea as it’s easy to carry; it slips straight into your father’s wallet just like a credit card! Every time he opens his wallet he’ll see this picture and if it’s an image of his family he’ll be thinking of them always. What better way could you show your love for your father by creating a portable image of your family together or maybe just yourself. 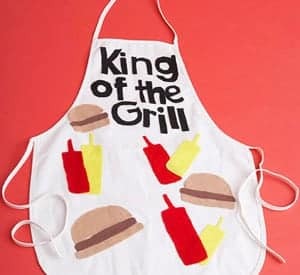 Men love barbeques; they see themselves as the kings of the grill so designing a special apron for your father to wear whenever the grill is fired up is yet another spectacular idea! This idea is easy to create and the resources needed are simple to find. To do this you’ll need to obtain an apron with a blank canvas or one that doesn’t hold a design already. Once you’ve obtained the apron you can begin to create your artistic genius by using paint or marker pens. Beforehand you could prepare your piece that you wish to place on the apron. Taking time to create a few rough designs reduces the chances of making a mistake that could mean you need to go and purchase another apron to start over. Simply place your design on the apron and then give it to your dad to wear whenever the sun is out and the BBQ is smoking! Father’s day is a special day in which you show your love and admiration to your own dad, therefore why not use one of the above Father’s day crafts to show him youe love. They’re simple to create and you can feel reassured that he will love to see the products you’ve created for him. He’ll love the originality and will never forget the day he was given it. Make your father a happy father on father’s day. Create his present yourself. Those are some really cute ideas! I can’t wait to post about what we are doing! Oh! I LOVE this! Thanks for sharing!!! I want to try the apron idea…love the puzzle idea too!